The Wild Rivers Film Tour comes to Casey’s in Whitefish on Wednesday, April 3. Doors open at 6:00pm; movies start at 7:00pm. Tickets are $12. For more details, including where to obtain tickets, here’s the write-up sent around by Montanans for Healthy Rivers . 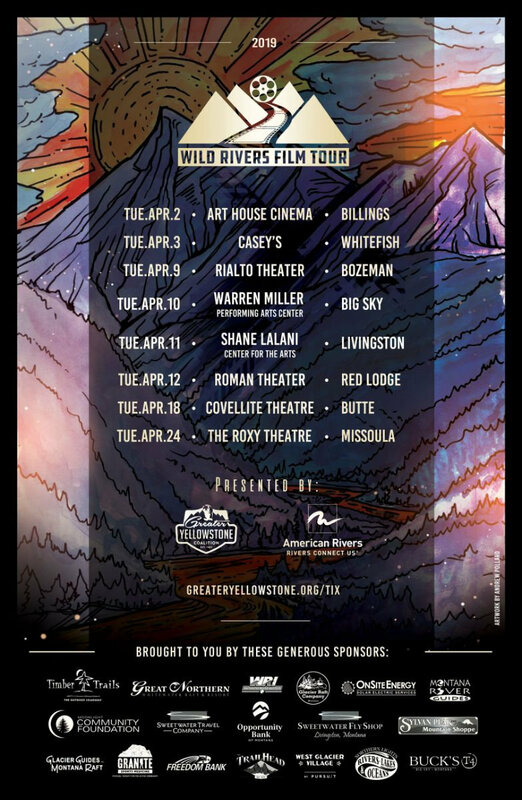 . .
As Montana’s rivers begin to thaw out from record-setting cold temperatures this winter, river lovers of the Treasure State can add a little stoke to spring’s warmth with an inspiring collection of films presented in the 2019 Wild Rivers Film Tour. Nine magnificent films carry the audience through 110 minutes of emotional and exhilarating cinema. The 2019 selections include: Testimony to Congress: In Defense of the Arctic National Wildlife Refuge, Hallowed Waters – Legacy and Lifeblood of the Big Blackfoot, The Last Green Thread, Hank Patterson’s Wild and Scenic Rivers Act: Fact vs. Fictions, Glen Canyon Rediscovered, Grand Canyon Water, Shred for the South Fork, and Run Wild Run Free. The Wild Rivers Film Tour promotes the next age of river conservation in Montana and advocates for the introduction of the Montana Headwaters Security Act. The Montana Headwaters Security Act proposes to use Wild & Scenic River designations to keep iconic rivers on public lands in Montana clean and free-flowing. The effort is supported by Montanans for Healthy Rivers – a coalition of businesses, private land owners, sportsmen and conservation groups. 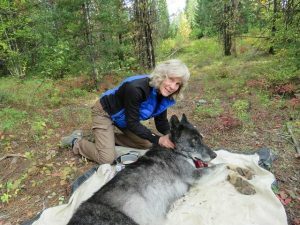 Diane Boyd, large carnivore specialist for Montana Fish, Wildlife and Parks (and NFPA member), gave a well-received talk last week . . .
Wolves live in family groups. They don’t think twice about traveling long distances. They’re territorial. They make a lot of noise. And some have no qualms about capturing and killing their foes. In other words, they’re a lot like humans. Contrary to the host of conspiracy theories out there, wolves in Northwest Montana aren’t hybrids and they weren’t shipped in from points north. 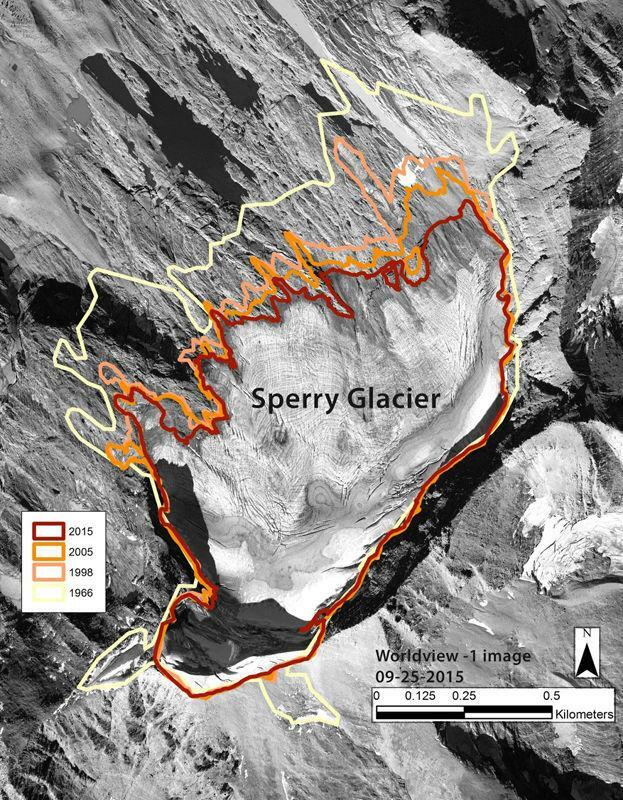 They came here on their own volition back in the late 1970s, stragglers from Canada that eventually made the North Fork of the Flathead in Glacier National Park home, biologist Diane Boyd said during a talk last week. 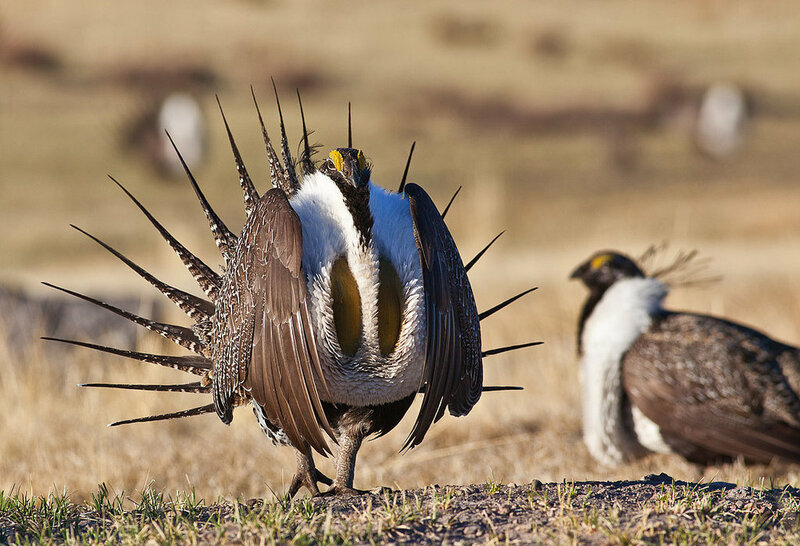 Looks like the U.S. aims to ease the painstakingly developed oil and gas development regulations designed to protect sage grouse populations . . . The Trump administration is finalizing plans to ease restrictions on oil and gas drilling and other industries that were meant to protect an imperiled bird species that ranges across the American West, federal officials said Thursday. U.S. Bureau of Land Management Acting Director Brian Steed told The Associated Press the changes would protect greater sage grouse while addressing concerns that existing policies governing millions of acres of federal land were too restrictive. Critics say the changes will lead to more disturbances of grouse habitat, undermining efforts to shore up the bird’s population. The town hall meeting, co-hosted by the Northwest Power and Conservation Council, will be held on March 20, 2019, from 5:30 p.m. to approximately 7:00 p.m. The meeting will be held at the Red Lion Hotel Grand Ballroom, 20 S Main St., Suite 150, Kalispell, MT 59901. U.S. Columbia River Treaty Negotiator Jill Smail will lead a town hall March 20, 2019, in Kalispell, Montana on the modernization of the Columbia River Treaty regime. The town hall, which is co-hosted by the Northwest Power and Conservation Council, is free of charge, open to the public, and will take place at the Red Lion Hotel from 5:30 to 7:00 p.m. This town hall will follow the February 27-28 round of negotiations on the treaty regime in Washington, D.C. At the town hall, U.S. government representatives will provide an overview of the negotiations and take questions from the public; feel free to send questions in advance to ColumbiaRiverTreaty@state.gov. For more information on the town hall, including call-in details, please see the Federal Register Notice. The Columbia River Treaty is an international model for transboundary water cooperation. The 1964 treaty’s flood risk and hydropower operations have provided substantial benefits to millions of people on both sides of the U.S.-Canada border. The treaty has also facilitated additional benefits such as supporting the river’s ecosystem, irrigation, municipal water use, industrial use, navigation, and recreation. More information can be found on the Department’s Treaty website . As the United States continues bilateral negotiations with Canada, key objectives are guided by the U.S. Entity Regional Recommendation for the Future of the Columbia River Treaty after 2024, a consensus document published in 2013 after five years of consultations among the Tribes, states, stakeholders, public, and federal agencies. The U.S. negotiating team is led by the U.S. Department of State and comprises the Bonneville Power Administration, the U.S. Army Corps of Engineers Northwestern Division, the Department of the Interior, and the National Oceanic and Atmospheric Administration. To receive periodic updates on events and developments related to the modernization of the Columbia River Treaty regime, please contact ColumbiaRiverTreaty@state.gov. For press inquiries, please contact WHAPress@state.gov. Not entirely unexpected: The U.S. Department of the Interior wants to remove gray wolves from the Endangered Species List for for the entire country . 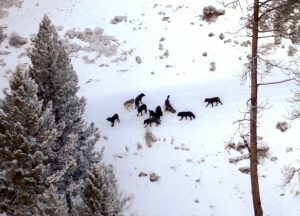 . .
U.S. wildlife officials plan to lift protections for gray wolves across the Lower 48 states, re-igniting the legal battle over a predator that’s run into conflicts with farmers and ranchers after rebounding in some regions, an official told The Associated Press. 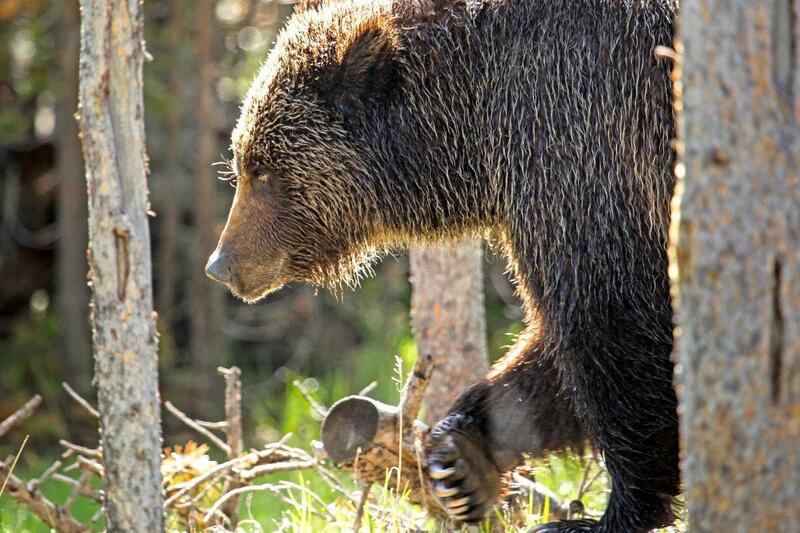 Acting Interior Secretary David Bernhardt announced the proposal during a Wednesday speech at the North American Wildlife and Natural Resources Conference in Denver, a weeklong conservation forum for researchers, government officials and others, U.S. Fish and Wildlife Spokesman Gavin Shire said in an interview with the AP. The decision was based on gray wolves successfully recovering from widespread extermination last century, Shire said. Further details were expected during a formal announcement planned in coming days. A reminder from the Montana Wilderness Association about the next presentation in the Wilderness Speaker Series . . .
Join us as we welcome fisheries experts Jim Vashro, Leo Rosenthal, and Matt Boyer to discuss Fish, Wildlife, and Parks’ efforts to preserve the integrity of the world-class, pristine fisheries in the Bob Marshall Wilderness Complex. You’ll also be able to catch our newly-released short film Hallowed Waters, a tribute to the Blackfoot and Clearwater river watersheds that stand to be protected by the Blackfoot Clearwater Stewardship Act. Fish population and creel estimates were first established in the Bob in the 1980s and now, with nearly 40 years of data, biologists and land managers are more equipped than ever to make educated decisions about the preservation of sensitive species including Bull Trout and West Slope Cutthroat Trout. Focusing on the South Fork of the Flathead watershed, our speakers will also discuss the threats that native fisheries face, including invasive species and stream bank erosion. The Wilderness Speaker Series is presented by MWA, the Bob Marshall Wilderness Foundation, and Northwest Montana Forest Fire Lookout Association. A permit to float the upper North Fork? 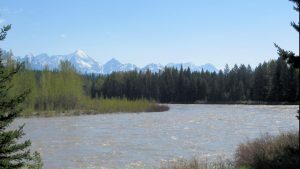 The Flathead National Forest is eyeing the prospect of the possibility of a permit system or other crowd controls for the scenic section of the North Fork of the Flathead River. The scenic section, as defined under the Wild and Scenic Rivers Act, runs from the border with Canada to the Camas Bridge. 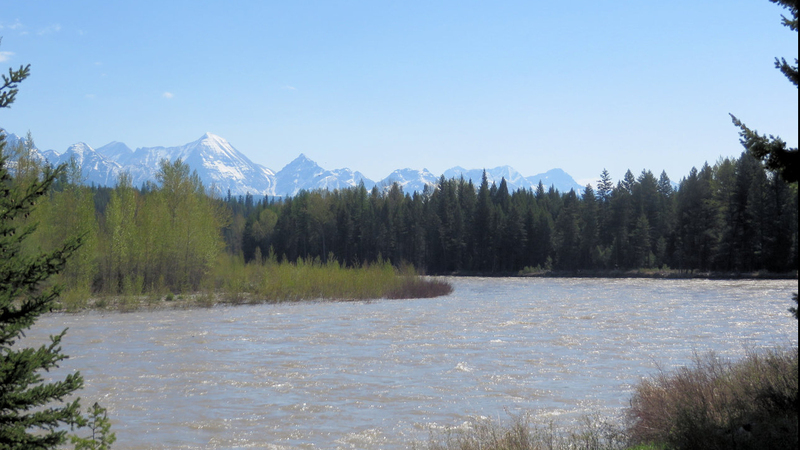 The Forest Service, in cooperation with the Park Service, are working on a comprehensive river management plan for the three forks of the Flathead River. Some 219 miles of the river system are protected under the Wild and Scenic Rivers Act. But as more and more people come to the Flathead Valley, the rivers are becoming more crowded. Glacier National Park over the past three summers has seen more than or just under 3 million people each year. 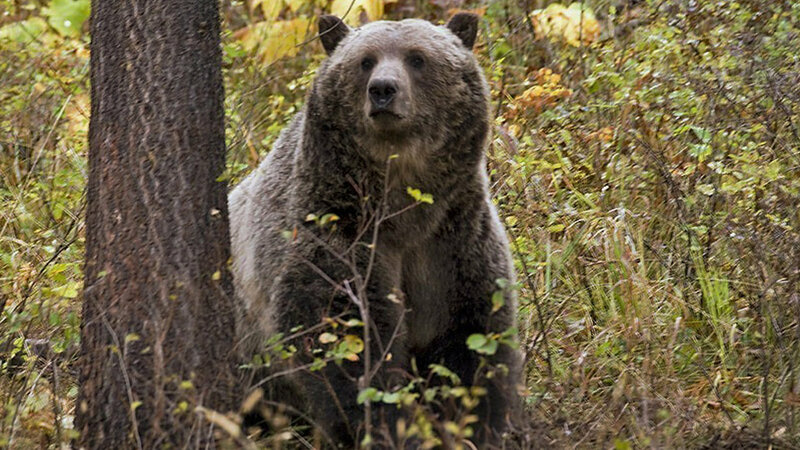 Here’s a well-researched article by the Missoulian’s Rob Chaney on grizzly management in the “Bearless Bitterroot” . . . Despite having virtually no grizzly bears and no time to think about them, Salmon-Challis National Forest Supervisor Chuck Mark faces a lot of criticism for how he handles grizzly recovery in the Bitterroot Mountains. Mark and eight others serve on the Bitterroot Subcommittee, which includes six national forests, the Nez Perce Tribe, Montana Fish, Wildlife & Parks and the U.S. Fish and Wildlife Service. 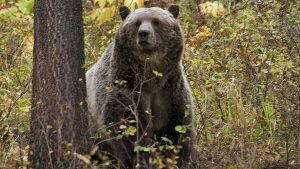 It’s part of the Interagency Grizzly Bear Committee (IGBC), which also includes the National Park Service, Bureau of Land Management, state wildlife agencies, and other stakeholders in the grizzly recovery effort.